Happy Children’s day!!!! and Happy 3rd birthday to FTMbaby! 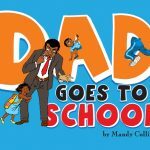 Nandi wishes Dad would stay with her in school instead of going to work every day. One day, Dad decides to go to school with Nandi. Shaleen Keshavjee-Gulam was born and grew up in Kenya. She has a Bachelor of Science (Hons) degree from the University of Toronto and now works in Nairobi as a property developer. She is married with two daughters. 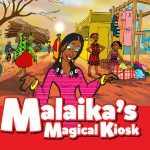 Malaika’s Magical Kiosk was shortlisted for The Golden Baobab Prize for Picture Books in 2014. Michelle and her older sister, Wanjiku’s lives are transformed when a mysterious woman, Malaika comes to their village at a time of drought and despair. Olasupo Shasore lives in Lagos, Nigeria and works as a lawyer. He is married with children. 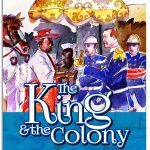 The King and the Colony tells the 19th century story of the Lagos Kingdom and how under British conquest it gave way to the Crown Colony of Lagos. A story of bravery, war, and cooperation between the two nations that would in turn lay the foundation for the creation of Nigeria. I am absolutely in love with all these books because not only do they have great stories, they are special to me because they are Africans telling African stories for African children and I think its so important to teach our Kids about our culture and history. It reminds me of all the Cyprian Ekwensi books I read growing up. You can purchase these books as Terrakulture, Pataba in the Surulere Mall and The Reading Corner at Bayo Kuku, Ikoyi. The prices range from N1000 – N1,500. To win the books, comment below and tell me your favourite african book from when you were little. After you comment enter your details in the rafflecopter box below. The winners will be announced on Monday. Make sure you tell all your friends!!! Good Luck!!!! 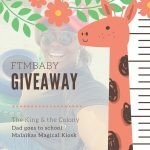 6 Comments on Children’s day giveaway! I read a lot of books which I love second chance, time changes yesterday, things fall apart, god’s big toe, I read slot one I really love was the African child by camera laiye. really love was the African child by camara laiye. Growing up in the 90s as a young kid,my favourite book was the drummer boy by cyprian ekwensi about a talented blind boy…Temmy…I love that book die?